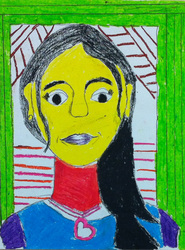 Seventh grade students were introduced to a variety of Fauvist paintings, many by the artists Henri Matisse and Andre Derain. 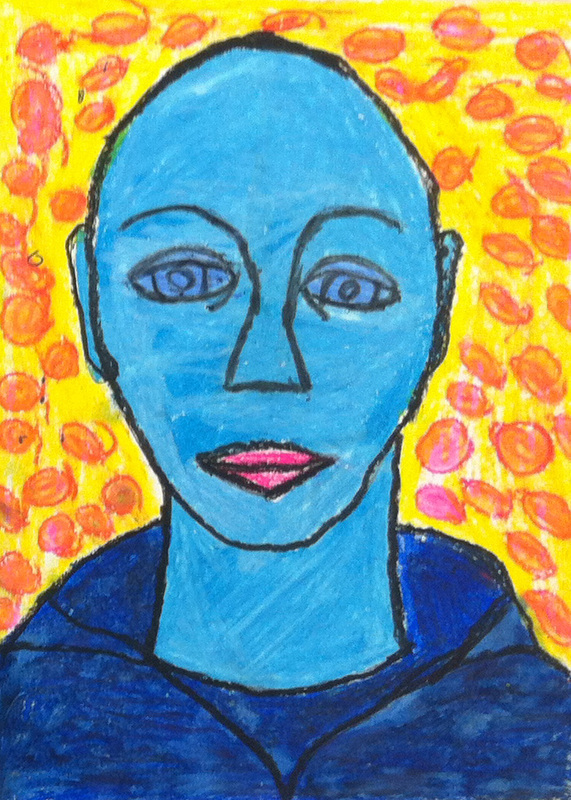 Students identified their use of abstract color, bold outlines and pattern. The class reviewed the color schemes monochromatic, triadic, complementary and analogous. 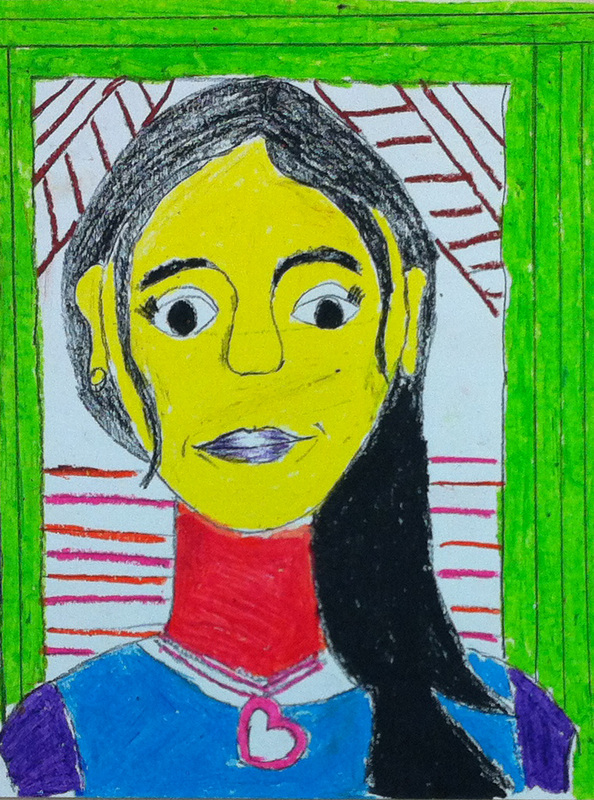 Students practiced drawing the human face in proportion before drawing their own self-portraits using a mirror. 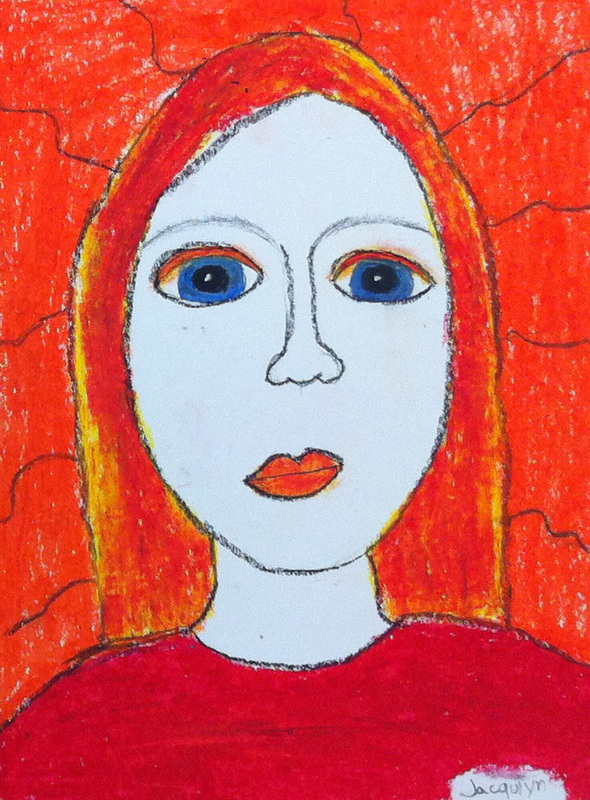 Each student drew a self portrait using graphite pencil. The drawings were then photocopied onto cardstock to allow each student an opportunity to experiment with three different color schemes. 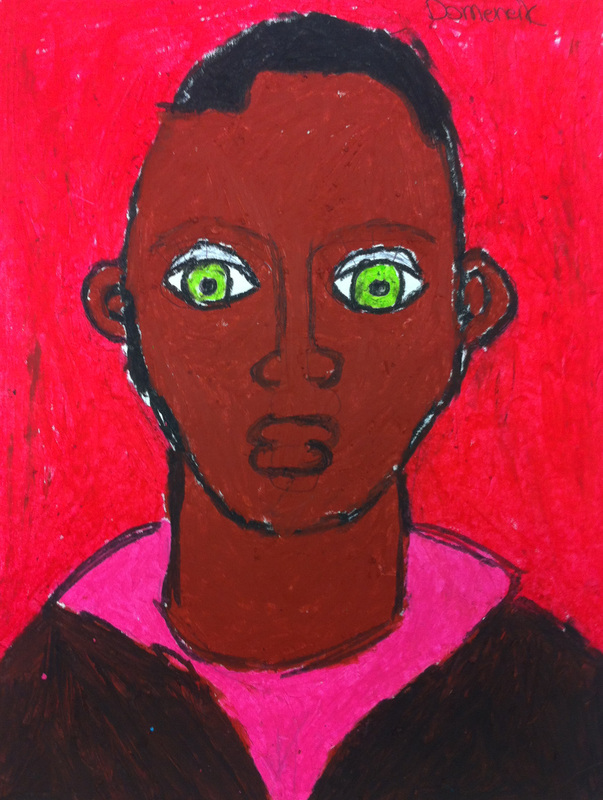 Students used oil pastels to add color to their self-portraits in the style of Fauvist paintings. 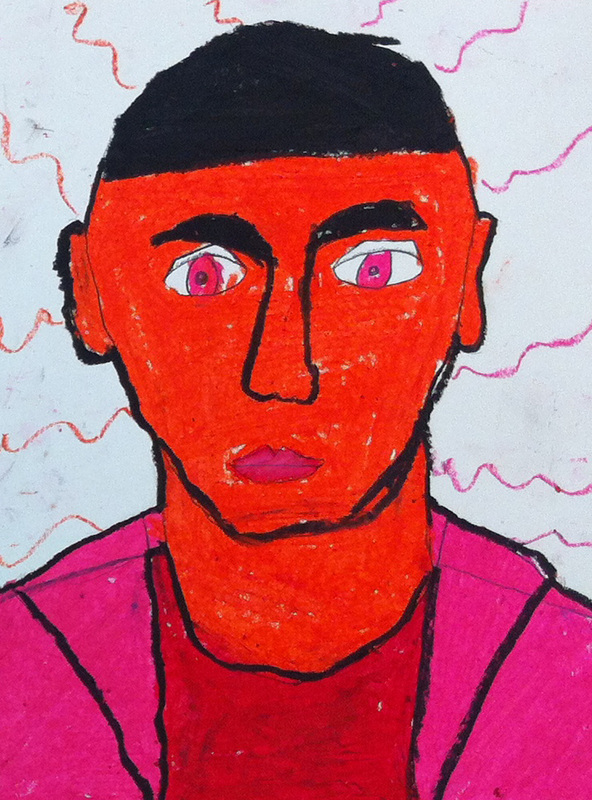 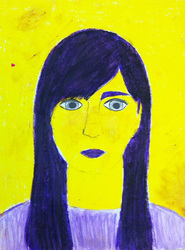 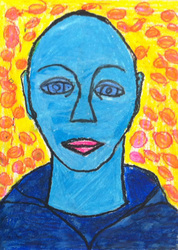 Each student completed the project with three self-portraits featuring different color schemes.